Modular homes are inherently more energy efficient than site-built homes. Make your prefab home completely self-sufficient with these green options! Modular living is not just a simple and efficient way of constructing your new home, there is increasing evidence that it is one of the greenest ways to build too. Whatever the size of your new modular home, you can build in features which will make your property energy efficient, and incorporate features which will cut your heating bill drastically, or wipe it out altogether. You can add solar panels to the roof of your modular home or freestanding in your yard. 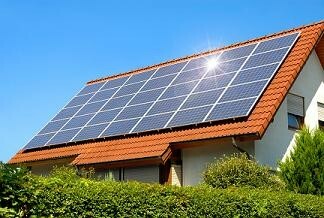 The most obvious way of getting a green modular home is to incorporate solar panels on the roof of your property. These solar panels can either generate electricity which you run your heating from, or can heat water which can be used for showers or to heat radiators throughout the home. Even if you live in an area which does not enjoy many hours of sunshine each day, daylight can be enough to generate your electricity and keep your prefabricated home warm. Properly insulating your house doesn’t just mean the right amount of insulating material, it also means energy-efficient windows and doors. No one method of energy efficiency in a modular home can reduce your heating bill to zero, but good quality insulation can go a long way to reducing costs. Most manufacturers who draw up modular home floor plans incorporate high standards of insulation on the walls, ceilings and have the best standard of windows and doors on the market. 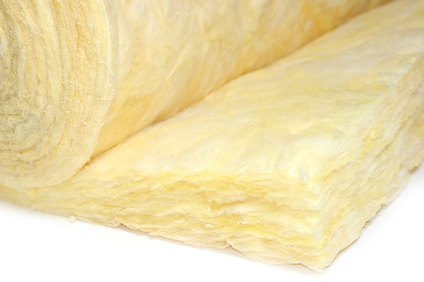 Good insulation can keep your house warm in winter, and cool in summer. The geothermal pump pushes cool air down below ground where it is heated and returned to the home. Not every building is suitable for solar panels or wind turbines, and much will depend on howyour prefab is located. However, even in places without access to direct sunlight or good winds, geothermal energy might be available. 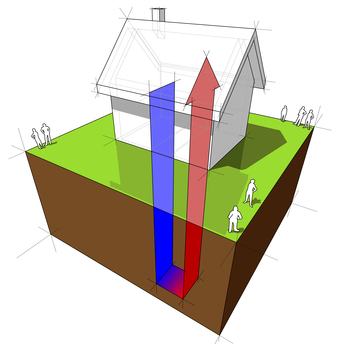 Geothermic energy is the heat which is generated by the earth’s core, and incorporating a geothermal pump into your green modular home can be a source of completely free heating. If you live west of the Rockies, this is a particularly good way of heating a home as you don’t have to go down as deep as in other parts of North America to get heat. A pump brings warm air from below ground to heat your home, keeping your home warm whatever the weather outside. A wind turbine doesn’t have to take up a lot of room or look out of place. Wind turbines fit right in with modern modular homes. If you live near mountains or the coast, a wind turbine could be the best way of generating electricity and heating and cooling your prefab home. 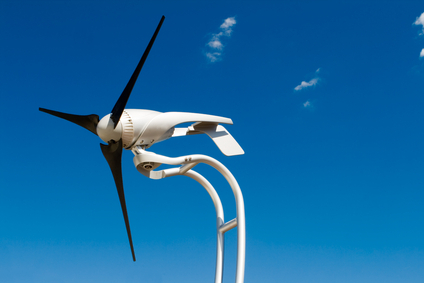 Turbines work better when they are mounted on a pole rather than just on the roof of your modular home, and it is a relatively simple process to hook your turbine up to the power supply and generate power to run your heating, heat your water or power your appliances. When coupled with other energy saving measures such as good insulation, wind turbines are a great way of reducing your energy bills.